Fresh. 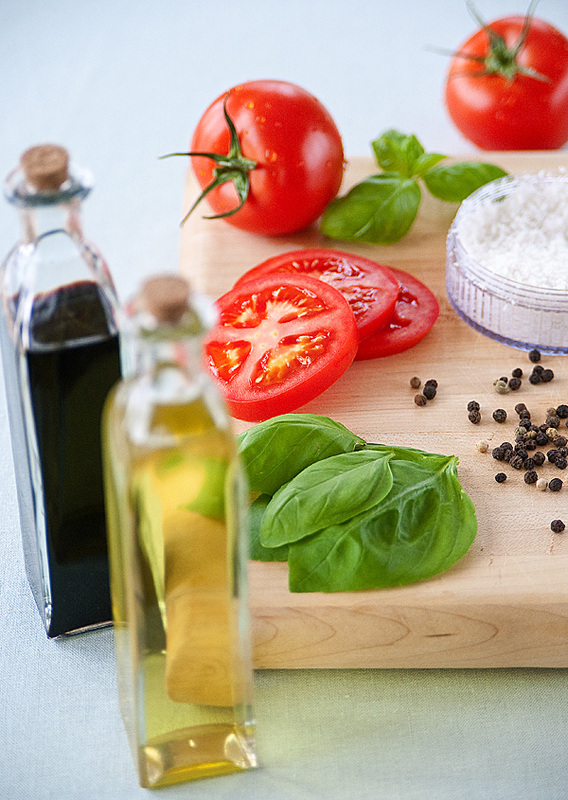 That’s how we describe the caprese salad, and making it with fresh ingredients is key! Tomatoes on the vine, fresh mozzarella, fresh basil, sea salt, crushed peppercorns, a nice extra virgin olive oil, and (ok, this is obviously not fresh) some aged balsamic vinegar. That’s it. Super simple and delicious! Eating this just feels like summer. I know it’s not (since it’s snowing outside as I write this), but it will get you in the mood for a change of season. Enjoy! 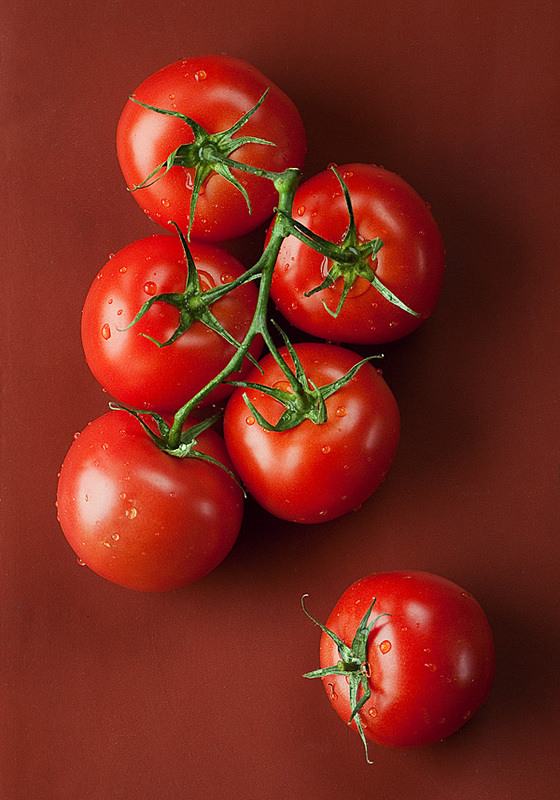 Fresh tomatoes on the vine! 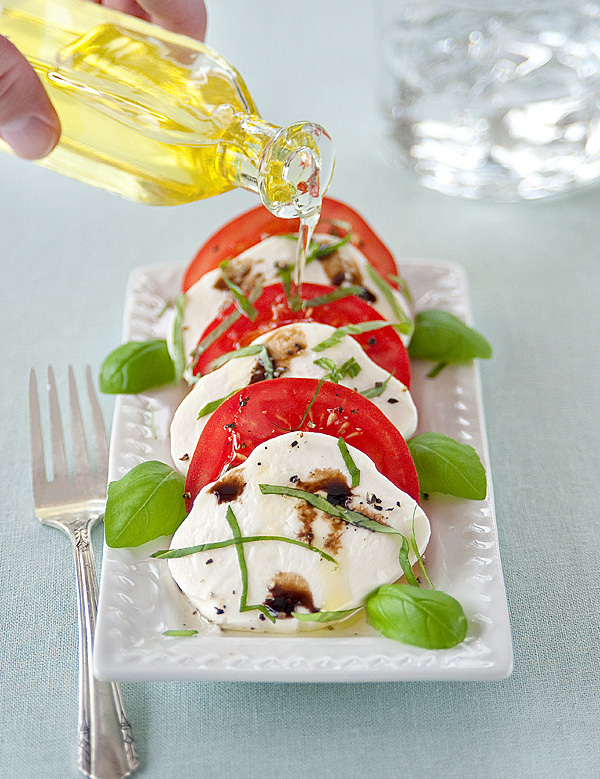 The caprese salad, ready to enjoy! Yeah, I know it sounds weird, but this is one of my favorite types of chocolate. You have to try it. It’s not hot, but does certainly have a touch of chili spice to it, after a quick initial hint of dark chocolate bitterness (only 49% cocoa), and a sweet, silky melt as it lingers in your mouth. 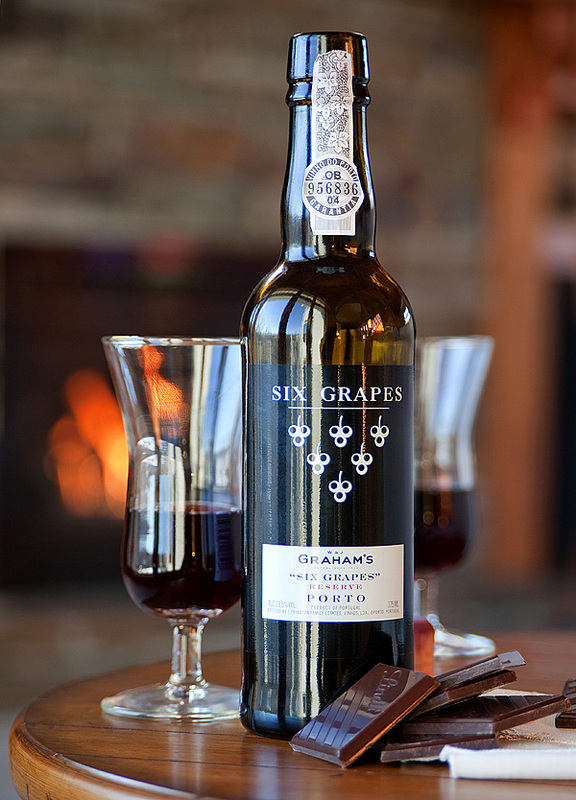 Now enter the Graham’s “Six Grapes” Reserve Port! It’s a non-vintage young wine, but it’s a tremendous value. The aroma of cherries, spice and chocolate are wonderful as the glass approaches. 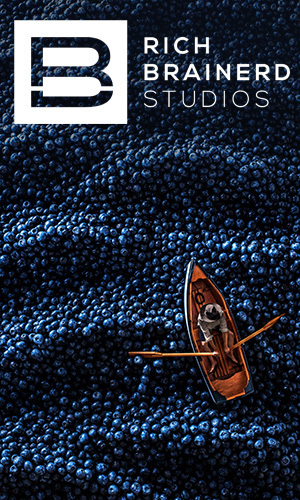 Port is generally strong, as is the Graham, but is fantastically mellow with the mix of the chocolate. The flavors are extremely harmonious, and perfect for relaxing by the fire. Enjoy! Graham’s “Six Grapes” Reserve Port and chili chocolate. 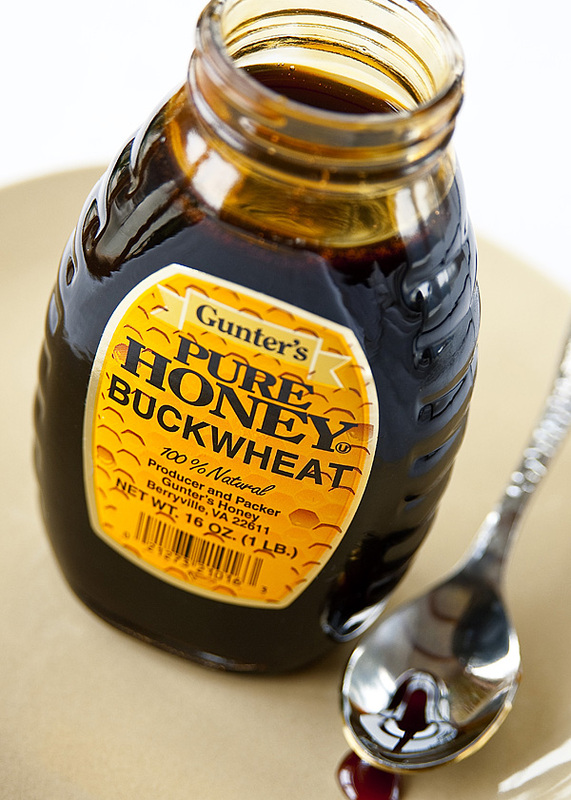 Buckwheat honey? 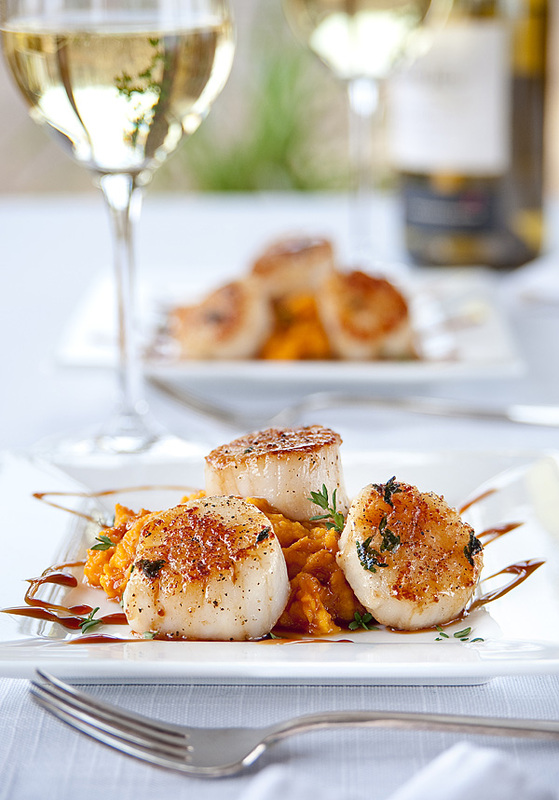 Who knew it would be such a good pairing for scallops? It’s fun to mix a lot of flavors that play well together! So, to start out this experiment, we tested the aroma of 4 different sweets to determine which one to drizzle over the scallops – clover honey, brown sugar, maple syrup, and buckwheat honey. 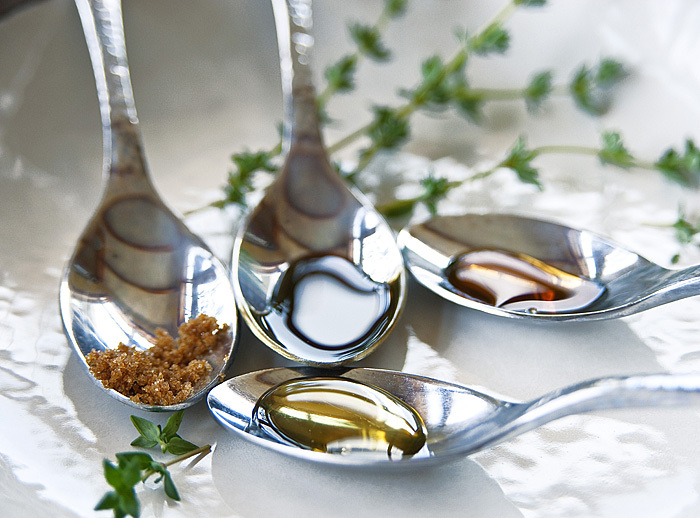 We knew we wanted to use thyme with our scallops, so we tried each of the sweet scents along with the scent of that herb, to see which combination would be best. Any would have worked, but the buckwheat honey stood out as a great match; it was dark and rich, and had a bold, intense, almost spicy flavor. We pan seared scallops in olive oil with thyme, and seasoned with pepper and a touch of salt. We then served them over mashed sweet potatoes. This by itself is a great pairing, but when you sprinkle a little more thyme over them, and drizzle with the honey, it gets even better! This paired extremely well with the 2007 Hayman & Hill Russian River Valley chardonnay we picked up. I say that despite the fact that I was originally looking for a buttery chardonnay. The wine was smooth, light on the oak, and with a bit of citrus. If I may say, it was all fabulous! Buckwheat honey scallops on mashed sweet potatoes! 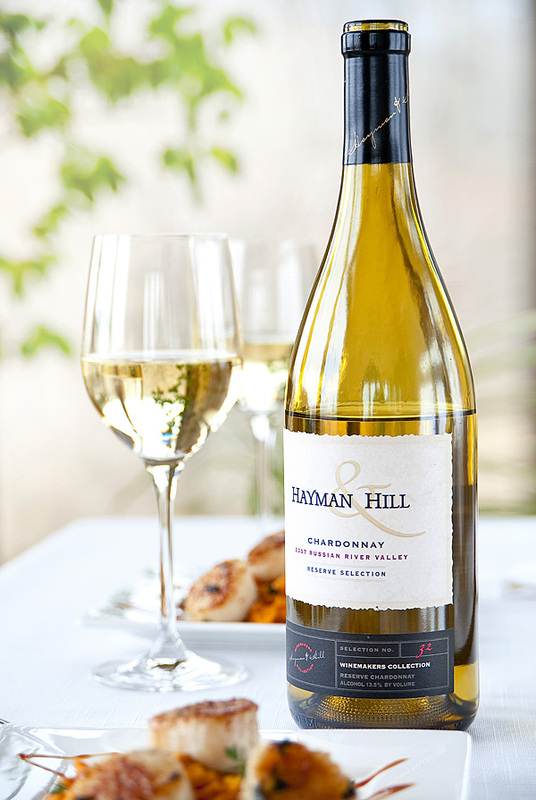 2007 Hayman & Hill Russian River Valley chardonnay. Shank you, shank you very much. Charlie Augello seems to always be there creating his masterpieces. The roasted pear salad is the perfect way to start the meal. 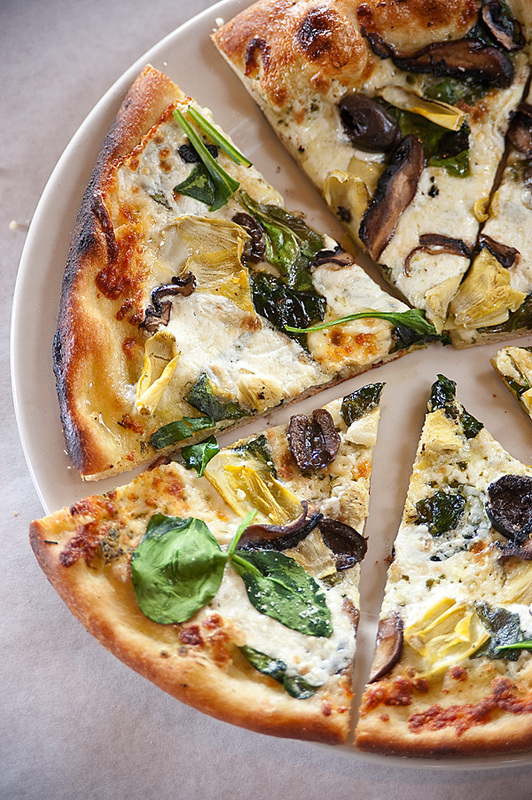 The Carolina pizza pictured has basil pesto, fresh mozzarella, spinach, artichoke hearts, kalamata olives, portobella mushrooms and parmesan. Some other favorite pizzas are the Margherite and the Funghi. The pork shanks are extremely tender, the meat falling right off the bone. The blend of Sicilian spices keeps you wanting more. (I highly recommend the chicken wings, as well.) If you have room, get a cannoli for dessert. 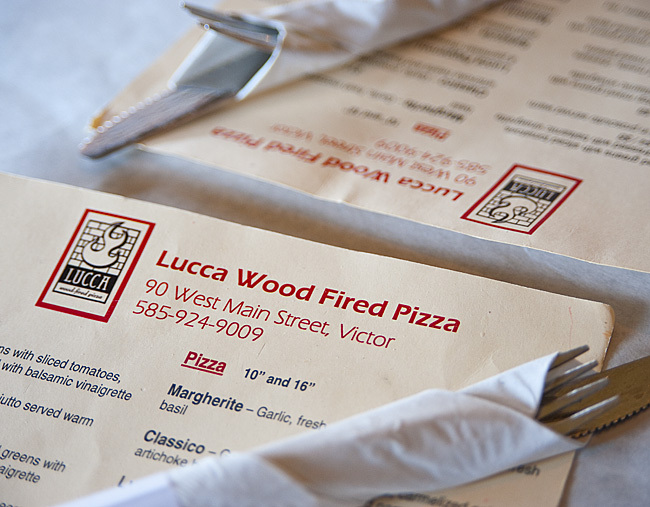 Lucca is located at 90 West Main Street in Victor, NY. Don’t forget to bring your own bottle of wine! 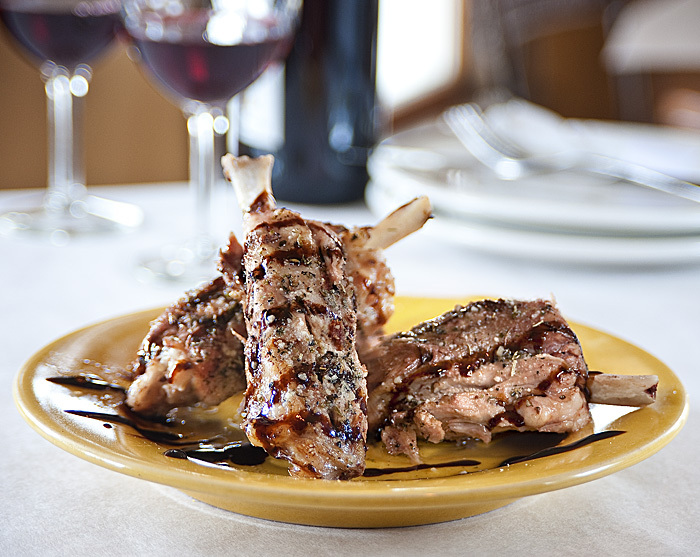 Pork shanks with sicilian spices and balsamic glaze. 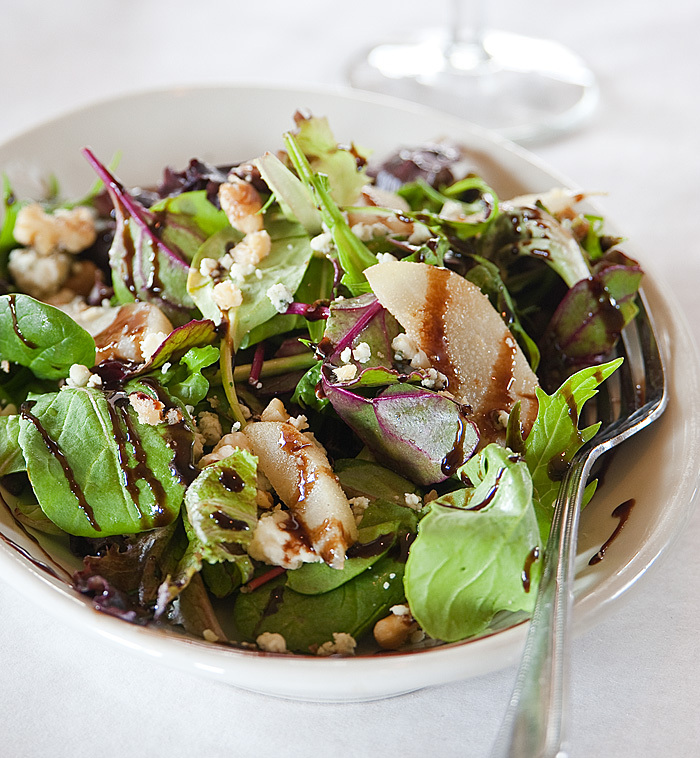 Sliced roasted pear salad, gorgonzola, candied walnuts & balsamic vinaigrette. 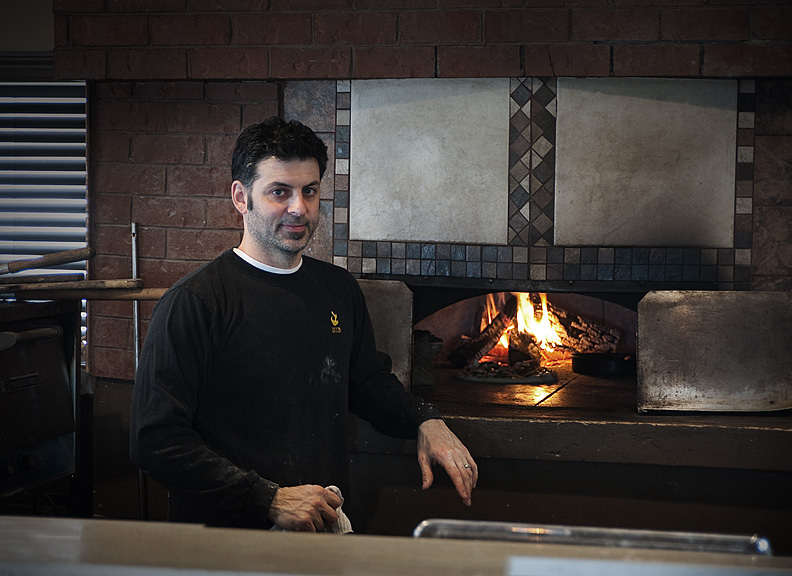 Charlie Augello manning the fire and creating masterpieces. This is just a quick reminder to enjoy everything Irish today (in moderation). I decided to skip the green beer and offer this up instead. Try a nip of your favorite Irish whiskey with a bit of Kerrygold Aged Cheddar with Irish Whiskey (they blend it right into the cheese!) A great mix of robust flavors that surprisingly brings about a smooth finish. Enjoy! The blended whiskey I had would not be my suggestion, given the characteristic burn I felt as I was sipping. (Is that Drunken Lullabies by Flogging Molly I hear in the background?) I suggest you go for a nice single malt. Let me know what your favorite is, so I can try this again! 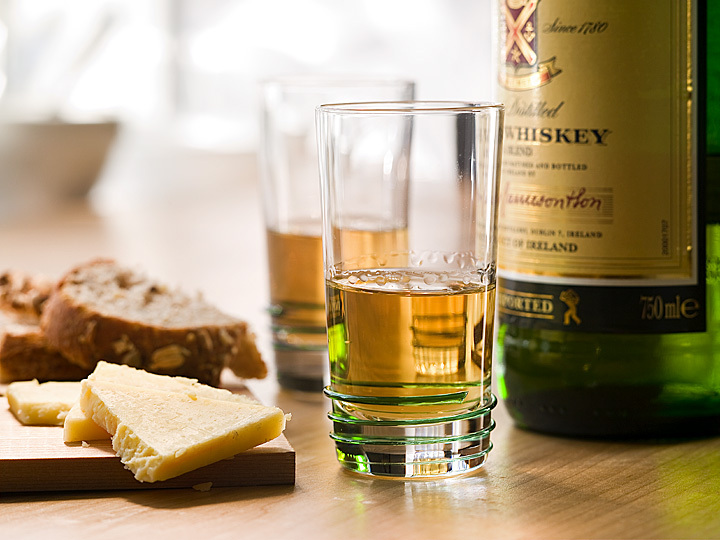 Kerrygold Irish Whiskey Aged Cheddar, a little crusty bread, and shot of your favorite Irish Whiskey. My goal for this post was to give you proper motivation for your afternoon snack. 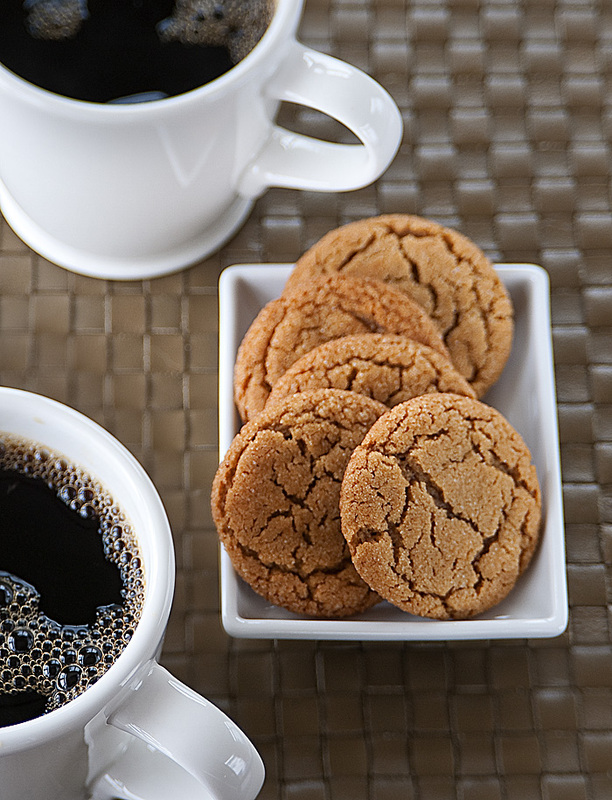 Just the word cookie…and I’m in search of. But these molasses cookies are possibly my all time favorite, and Heather was kind enough to bake these at my request. I think I had around 15 while I photographed this. Seriously. I loved every one. It’s actually driving me crazy that there are some left in the kitchen right now, as I write this. I’ll be right back…….grab your coffee and enjoy! Yes, I believe it stands for hugs and kisses. And…..while you probably all deserve hugs and kisses, I think the below pairing might be a good alternative. In fact, presenting this to someone might get you the prior. Beemster X.O. is an extra aged Dutch cheese. There are hints of butterscotch and nuts to the flavor. Pair it with Spanish carmelized pecans. WOW… I promise you will like this combination! Since the nuts are from Spain, I suggest serving with a Spanish red. 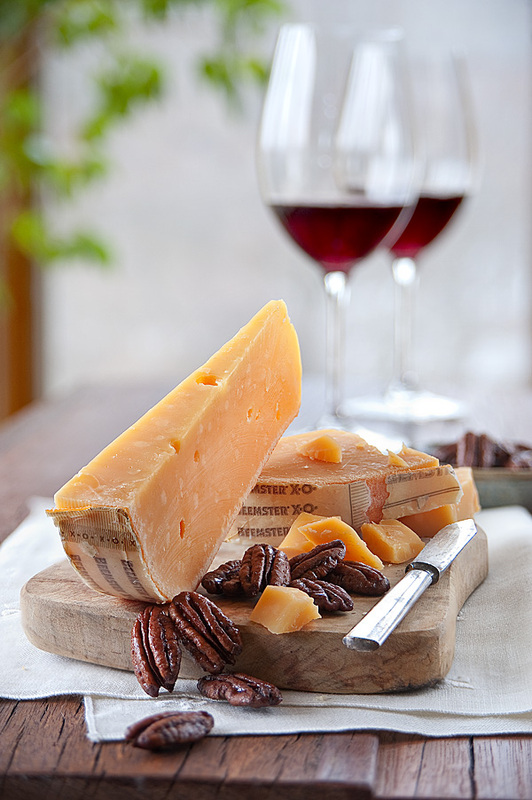 A deeper bodied wine is ok since the cheese has a nice, rich flavor. 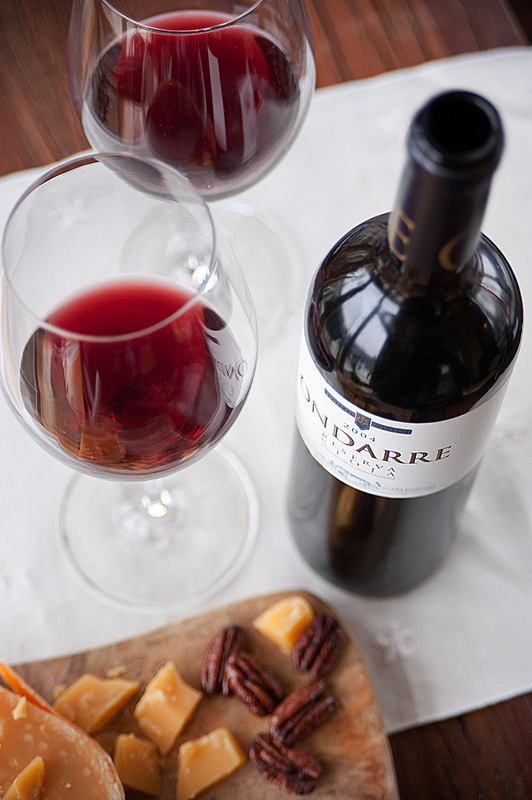 We chose a Bodegas Ondarre Rioja Reserva 2004. With a blend of 75% tempranillo, 15% mazuelo, and 10% garnacha, this wine was an excellent choice. We actually picked up a touch of vanilla in everything when we tasted all 3 together. It was so spectacular that we polished of the container of nuts and decided to call the “snack” our dinner! Beemster X.O. & caramelized pecans. Bodegas Ondarre Rioja Reserva 2004. Wine Spectator rating 91 points. #58, top 100 of 2010.